Seniors Jessica Markowitz, Gallatin '18 and Jeannine Sheinberg, Stern '18, are the grand prize winners for this year's Change Maker Challenge by the NYU Social Entrepreneurship Program. They represent The Abari Collective, a for-profit social enterprise jewelry program, as a business team and received $10,000 in funding to grow the venture and develop its mission. 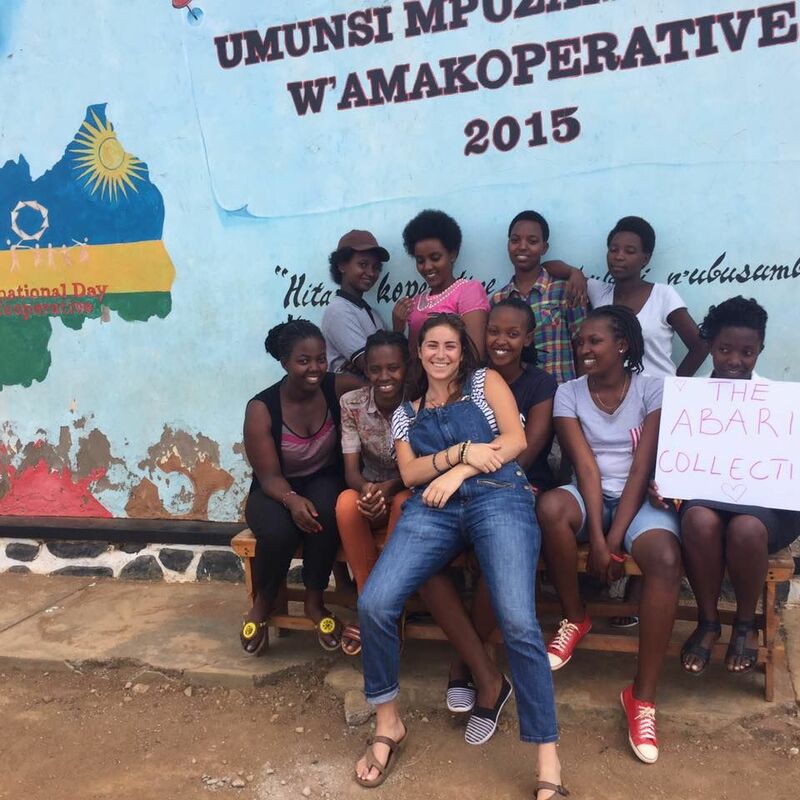 The Abari Collective is a branch of Richards Rwanda-IMPUHWE (RRI), an organization that supports educational opportunities for women in Rwanda. Founded by Markowitz in 2006, RRI seeks to empower women through entrepreneurship opportunities and economic development. The Abari Collective is both an extension and expansion that RRI brought on board to prepare women to develop a trade and launch a business after graduating secondary school. "In 2006, my family hosted a genocide survivor named Richard Kananga, who was working for the unity and reconciliation commission, speaking in the United States about what happened in his country," Markowitz said. "Richard told me about the 1994 genocide and how over one million people were killed in the span of 100 days and that, as I was an eleven year old girl, the most vulnerable population was the young girls my age." Soon after this encounter, Markowitz said she understood the power of female empowerment and founded RRI, which began as a club at her middle school, Seattle Girl's School. Seattle Girl's School caters to the empowerment of women and encourages female leadership. Markowitz's friends joined in her effort and a few years later RRI became an official non-profit 501c3. 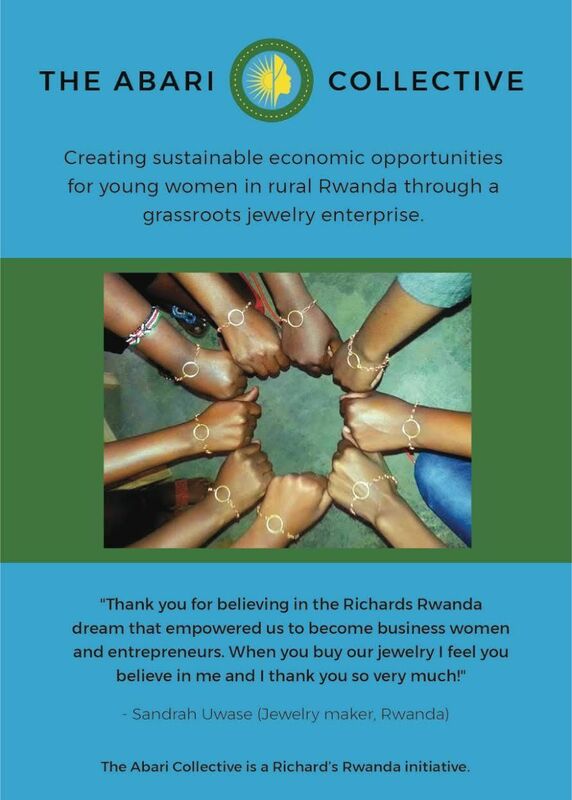 RRI was originally launched for the need to support educational opportunities for women in Nyamata, a rural village in Rwanda, and addressed gender discrimination as well as educational and business opportunities for women, economic sustainability and women's empowerment. The $10,000 grant will help the initiative to build small business opportunities to alleviate poverty and develop post-conflict reconstruction in Rwanda. Geared towards female high school graduates from vulnerable and poor families between the ages of 18-25, the program offers entrepreneurship training, development of business partnerships, support structures for the employment of women and the opportunity to participate in an emerging jewelry business. "Through the empowerment of female entrepreneurship we can promote socio-economic development, redistribute economic power and achieve gender equality" Markowitz said. "We have found the unfulfilled gaps for new business and market opportunities by creating metal design jewelry in contrast to the highly competitive space of sweet grass woven based jewelry." As a new ethical jewelry brand, The Abari Collective breaks gender barriers by entering the metal smith jewelry trade. "Small business opportunities have been incredibly important for economic development to alleviate poverty and develop post conflict reconstruction in Rwanda," Markowitz said. "In Rwanda, more than 90 percent of the population living in rural areas lacks access to capital and business opportunities." According to UNICEF, there are 600 million girls living in the developing world and nearly 25 percent are not in school. Raising over $250,000, RRI has built cross cultural relationships with young girls in Rwanda and sent over 100 girls to school. RRI brought students to Rwanda every summer to teach English, learn about the Rwandan genocide and understand the impact of education. Jessica has visited Rwanda 11 times and will return this summer after graduating from NYU to continue growing the collective. The key costs of the program are the materials, equipment, business expenses, PR, vocational training costs and employee hire. All awarded capital goes towards the initiative's new venture, specifically jewelry equipment and shipping costs. The Abari Collective has the opportunity to make a significant sustainable impact to grow into a large operation that encourages female financial independence.